Min. 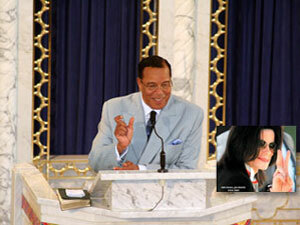 Farrakhan delivers major address "The Crucifixion of Michael Jackson and All Responsible Black Leadership." 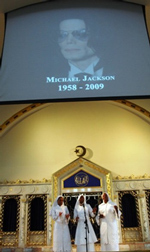 (FinalCall.com) - Minister Louis Farrakhan delivered a major address today on “the crucifixion of Michael Jackson,” his growing race consciousness and fears of the pop icon's potential social and political impact. 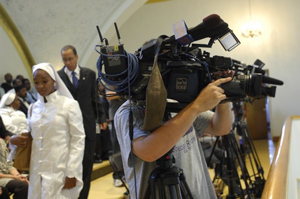 He also revealed, for the first time, that the entertainer donated $100,000 to the historic Million Man March. The two-hour plus address included details of their personal relationship and Mr. Jackson's desire and determination to gain control of his legacy. 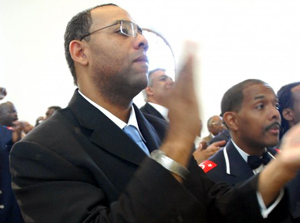 Citing the government's COINTEOPRO operation and parallel's with biblical scripture, the Minister outlined America's longstanding fear of Black independent thought or action. Former FBI director J. Edgar Hoover feared the rise of a "Black messiah" and Black entertainers who showed any inclination for racial and social progress were targets, he said. Black leaders and freedom fighters were targets, from slave uprisings to covert operations that destroyed the Civil Rights and Black Power movements, the Minister said. The White desire for control of Blacks and punishment of leaders who sought freedom can be found throughout U.S. history, the Minister said. Reading lyrics from “They Don't Really Care About Us,” a single on Mr. Jackson's 1995 "HIStory" album, the Minister said Mr. Jackson was more than an entertainer. The lyrics in the song protested a lack of promised freedom, police brutality, racism, hatred and government failures. 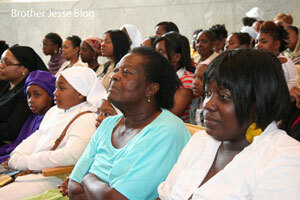 There was fear of Mr. Jackson's potential power, the Minister said. His lecture was titled "The Crucifixcion of Michael Jackson and All Responsible Black Leadership." Mr. Jackson died June 25. A probe of his death may be turning into a criminal investigation of his doctor and possible manslaughter charges. Min. Farrakhan called Mr. Jackson's ability to unite people a “herald” of a prophetic figure who will bring justice to the world and bring Black people into power. 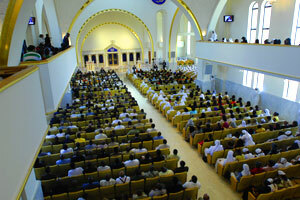 Look for the full story in the print edition of The Final Call Newspaper and online at www.finalcall.com and view it now @ http://www.noi.org/webcast.